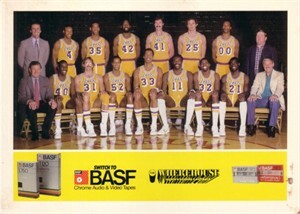 5x7 inch team photo card from the Los Angeles Lakers 1983-84 BASF set. 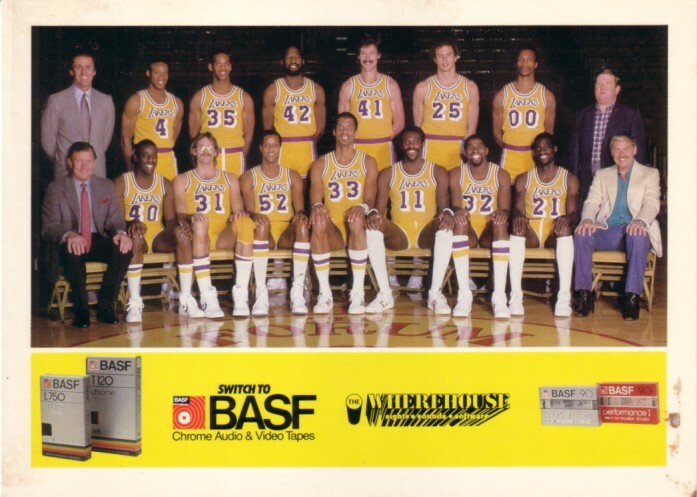 HAS LIGHT BROWN STAINS, MOST NOTICEABLE ON BOTTOM RIGHT EDGE. ONLY ONE AVAILABLE FOR SALE.